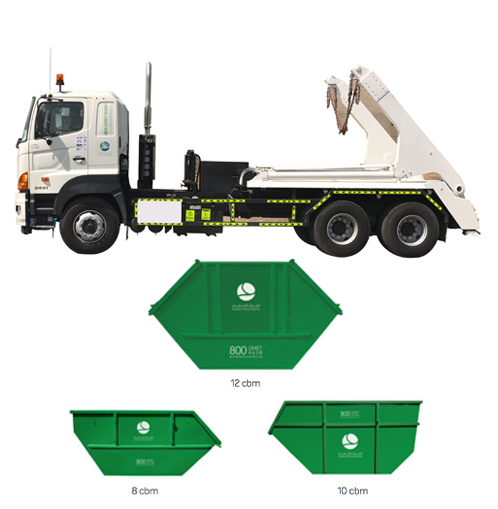 Green Mountains provides safe collection of all kinds of non-hazardous solid waste using state-of-the-art vehicles like Refuse Compactor, Skip Loader and Hooks Loader. 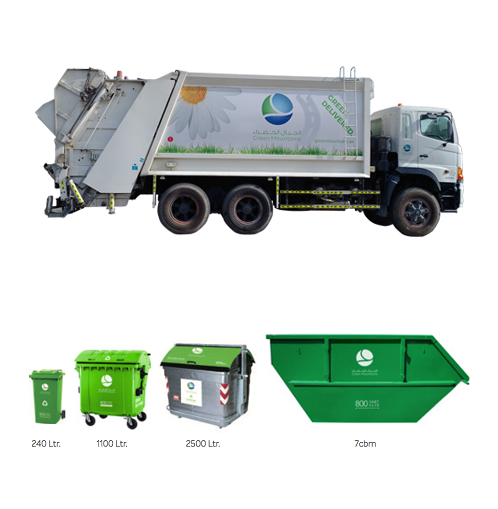 Our fleet of RSVs and citi compactors can collect wastes from 240 liter, 1.1 cbm skip, 2.4 litter bins and 7 cbm skip containers. 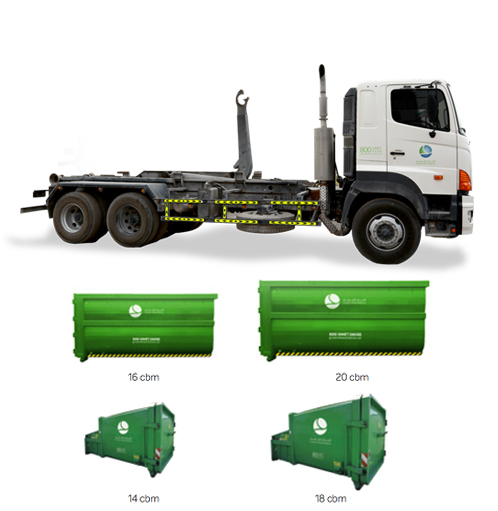 With our hook loader trucks we can collect static compactor and roll containers suitable for sites generating large quantities of waste. 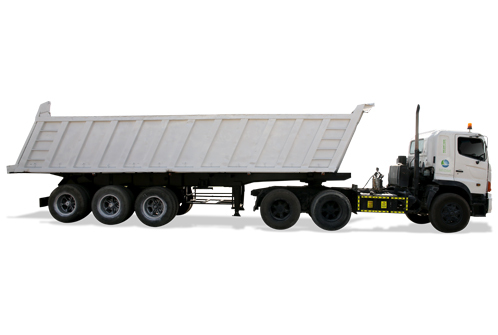 Our dedicated fleet of vehicles provide full coverage and we offer comprehensive and reliable services for bulky and construction waste. We help our customers with one-stop construction and demolition debris removal services. We collect recyclable materials such as cardboard, paper, plastic, wood, tires, metal and concrete waste. 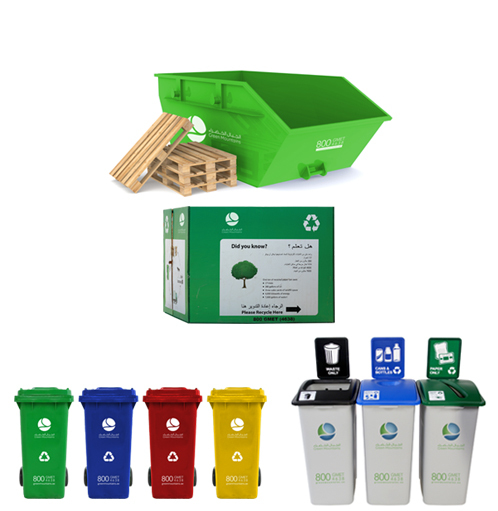 We also provide different types of color coded bins like cages, skips and bins for waste segregation.